PARADISE in Magnolia Pointe! 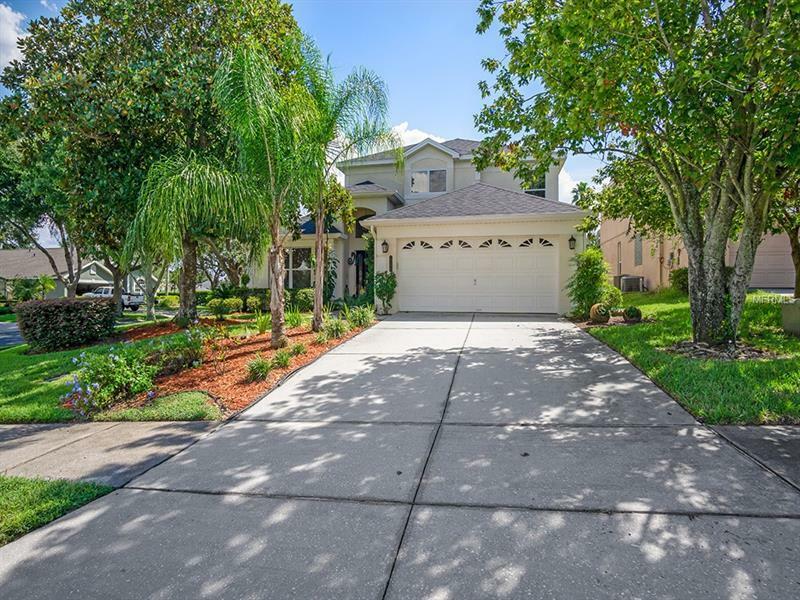 This showpiece 3 bedroom/ 2.5 bath posh dream home offers 2225 sq ft of living area, and is located in a affluent secured community with a 24 hour guard in a gatehouse setting. Excellently located on a quiet cul-de-sac and corner lot, this home offers an awe-inspiring curb appeal and peripheral landscaping. The family room is graced with soaring ceilings and is a haven for gazing out at the picturesque tropical landscape and extensive serene community fountain with mesmerizing views of the sunset. The Devine master suite is beautifully designed on the first floor with French doors leading to the newly refurbished incandescent heated waterfall pool and spa oasis. The bright en-suite bathroom has dual sinks, large walk in glass shower, large soaking garden tub, and large walk in closet. The second level consists of 2 oversized bedrooms which can easily be converted to a 4th bedroom and/or office. A beautiful bathroom with dual sinks and lots of storage space , NEW stainless steel appliances, NEW roof in 2015, newer a/c, and home security system. Perfect for anyone, this home is ideally positioned to enjoy any season with a short walk to St Johns Lake and the tennis courts ; including boating and water sports. The well appointed laundry room is conveniently located on the main level. Your family and loved ones will enjoy this home and is PERFECT for family gatherings. Resort style living in Magnolia View Pointe ! This GEM is turn key and move in ready. Furniture is NEGOTIABLE.